Includes admission to all 46 Museum halls and the Rose Center for Earth and Space. This super saver ticket also includes access to all special exhibitions, Giant Screen film in 2D or 3D, and the Hayden Planetarium Space Show. Entry to the Rose Center for Earth and Space. Opening Times: 10am to 5.45pm. Don’t Miss: Any of it – this vast museum has something amazing in store for everyone! 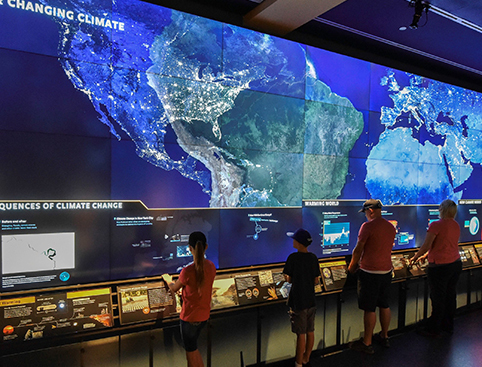 Travel from the inner workings of Earth to the outer reaches of the universe on an unforgettable voyage of discovery at the American Museum of Natural History! A visit to the American Museum of Natural History takes you on an extraordinary exploration of the diverse range of life and cultures on our planet. Over 135 years old, the Museum is a rich treasure trove to be plundered, offering adventure and discovery for visitors of all ages. 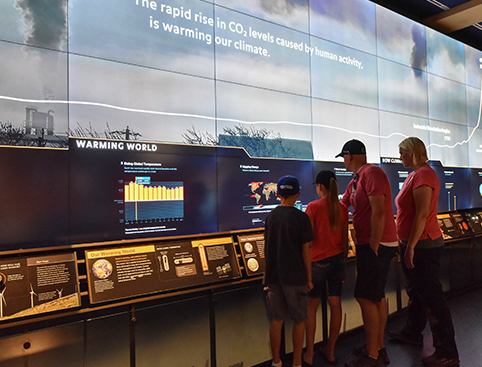 With a tradition of education and outreach, scientific research and mind-blowing exhibitions, the vast American Museum of Natural History is one of the most prestigious of its kind in the world. 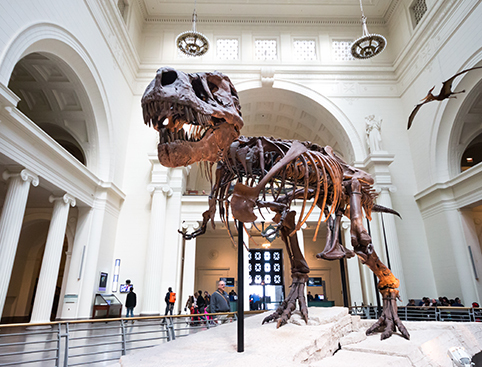 Home to 45 Museum halls, the Rose Center for Earth and Space, the biggest ever collection of dinosaur fossils, ever- evolving exhibits and so much more, there is always something new and exciting to see at the American Museum of Natural History! This General Admission ticket includes admission to all 46 Museum halls and the Rose Center for Earth and Space. See everything and save with the Super Saver ticket! 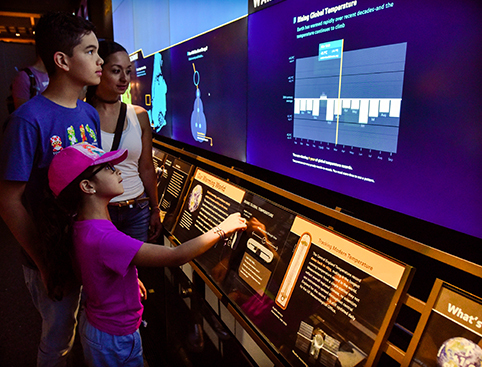 This great value ticket includes admission to the Museum and Rose Center for Earth and Space plus all special exhibitions, Giant Screen film, and Hayden Planetarium Space Show. 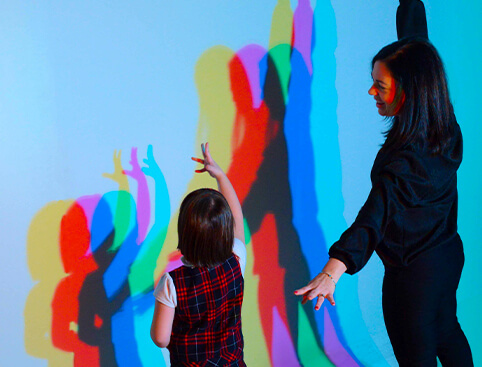 Museum Plus One tickets include admission to the Museum and Rose Center for Earth and Space PLUS one special exhibition, Giant Screen film, or Hayden Planetarium Space Show. 79th at Central Park West, New York, NYC 10024-5192. 10am to 5.45pm (except on Thanksgiving and Christmas). There are no time limits, so you can explore the museum at your leisure. The museum is vast, so wear comfortable clothing/shoes. All exhibits, all food service areas and many entrances are accessible by wheelchair. All public floors can be reached by elevator. All theatres include wheelchair locations and companion seats. The LeFrak IMAX® Theater is equipped with chairs with swing-out armrests for easy accessibility. The American Museum of Natural History is located at 79th at Central Park West, New York, NYC 10024-5192.